A bicycle is an easy-to-ride, climate friendly, economical means of transportation. Since it’s an eco-friendly vehicle, it’s getting a lot of attention nowadays. In Tokyo, more and more people are opting for bicycles for travel. But the issue of parking space and bike safety is a matter of concern. 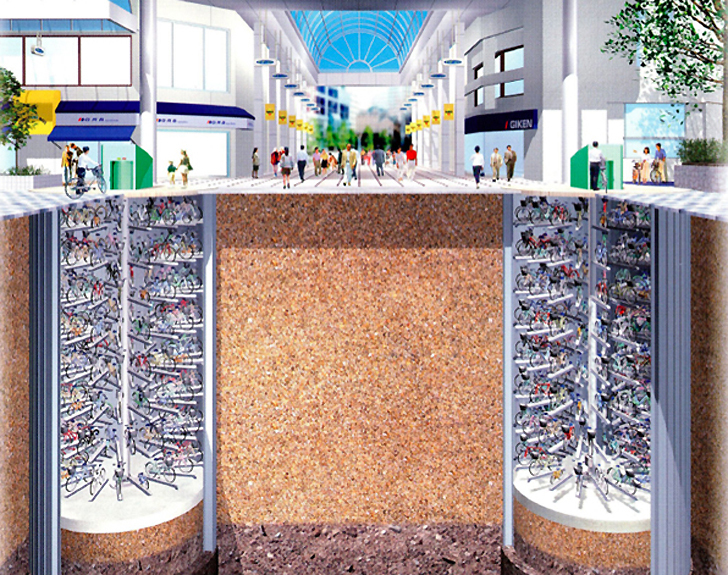 To solve this problem, Japanese engineering firm Giken Seisakusho Co. LTD developed an underground bicycle park, “ECO Cycle.” It’s a very high-tech system, and it occupies very little space. 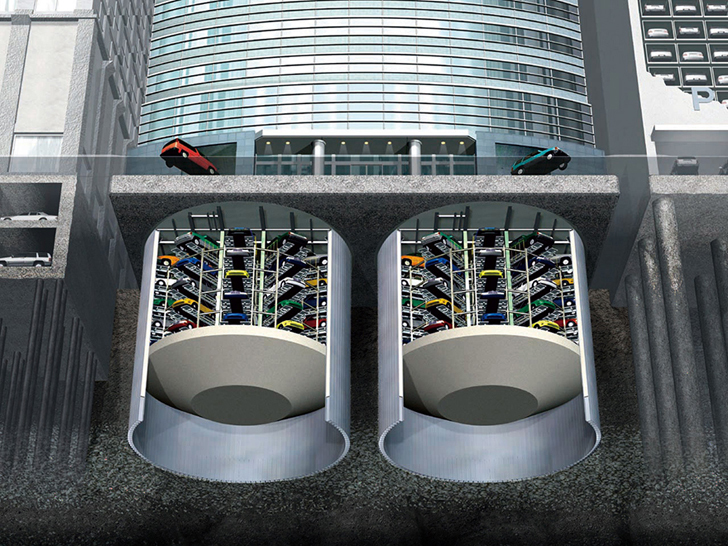 It is just seven meters wide and is deep enough to store 144 bicycles. 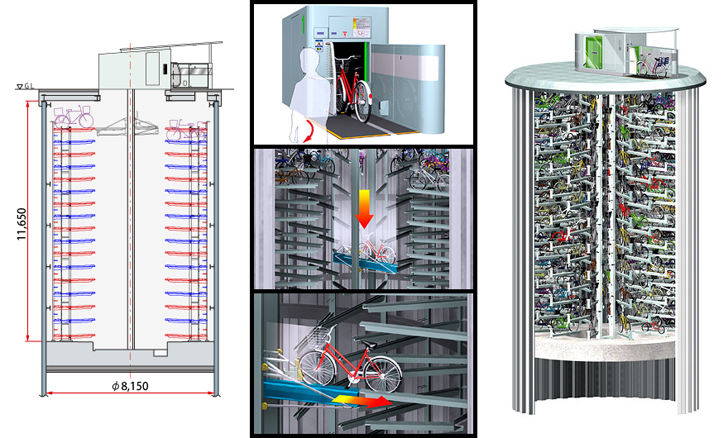 ECO Cycle is an automated, mechanical, underground parking lot. 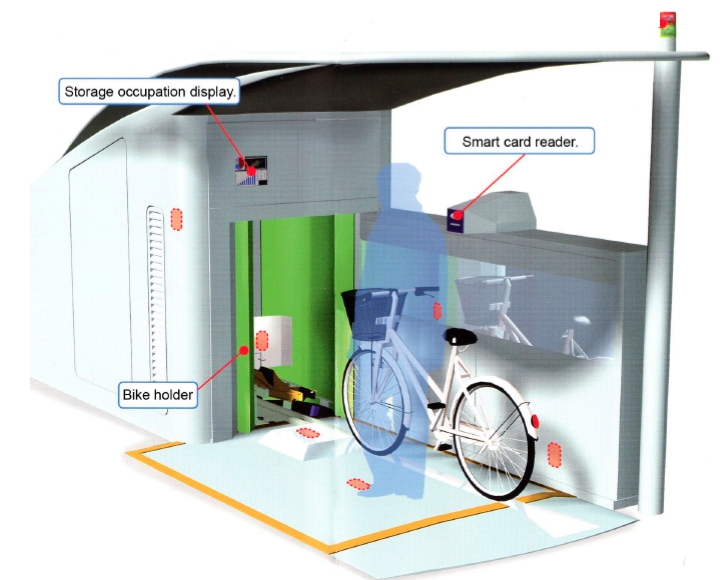 It’s a computer-controlled automatic bicycle storing-and-retrieving system. The operation of storage and retrieval of bicycles is very simple. Eco-Cycle Underground Park is developed with the design concept of “Culture Aboveground, Function Underground.” Once you place your bike onto the runway, you just have to present your card to the reader, push a button, and within 15 seconds your bike is taken to underground safely. It saves your bike from bad weather and badly intentioned people, too.